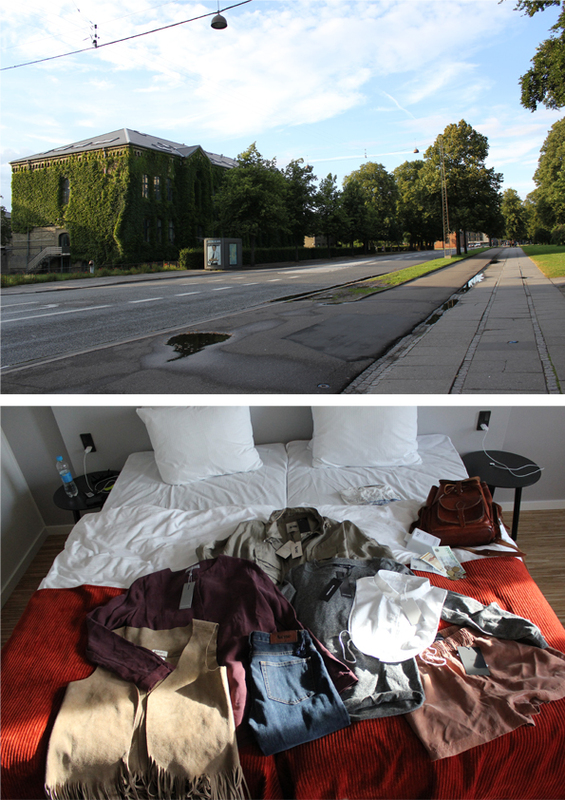 As I've mentioned before, I went Sunday to Aarhus for a quick shopping trip. 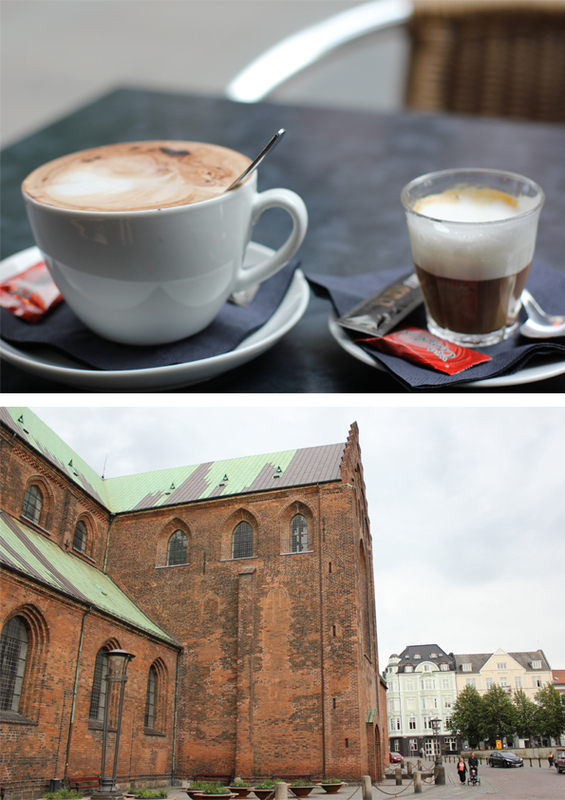 Here some shots, the weather wasn't really great so the photos are a bit grayish. I love to shop all Scandinavian brands together in one city! 1. Beautiful ivy overgrown building. 2. As you can see our shopping trip succeeded. I bought a brown suede fringed gilet from Vila Luxe line, a burgundy silk blouse from Samsoe et Samsoe, a beige Acne parka, Acne jeans in a great in between denim tone, a grey sweater (from unbelievable soft material) from Won Hundred, a pair of silk shorts from Gestuz and a white blouse collar from COS. Mostly new fall-winter collection but the Acne parka and the suede Luxe gilet were on sale. You'll see the items properly on outfit pictures, coming soon. 3. A beautiful hotel at the square in the city center. 4. 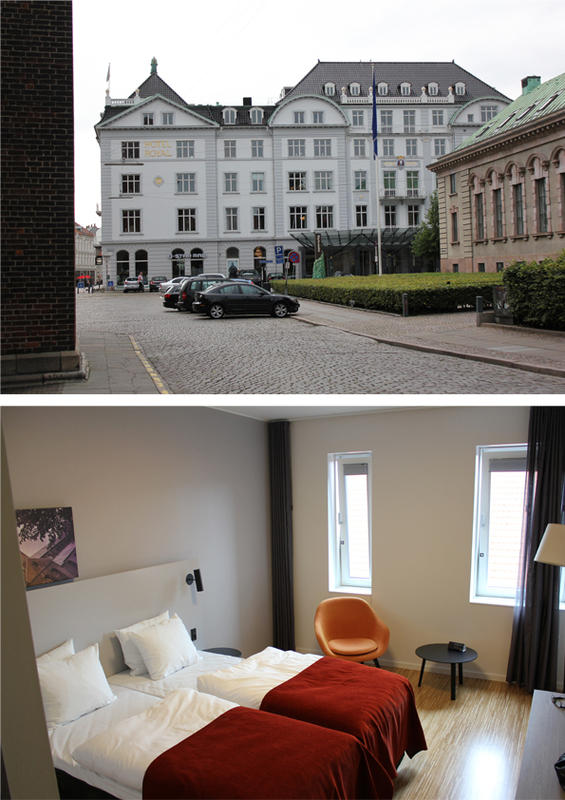 Our hotel room in the new Scandic Aarhus City hotel. 5. 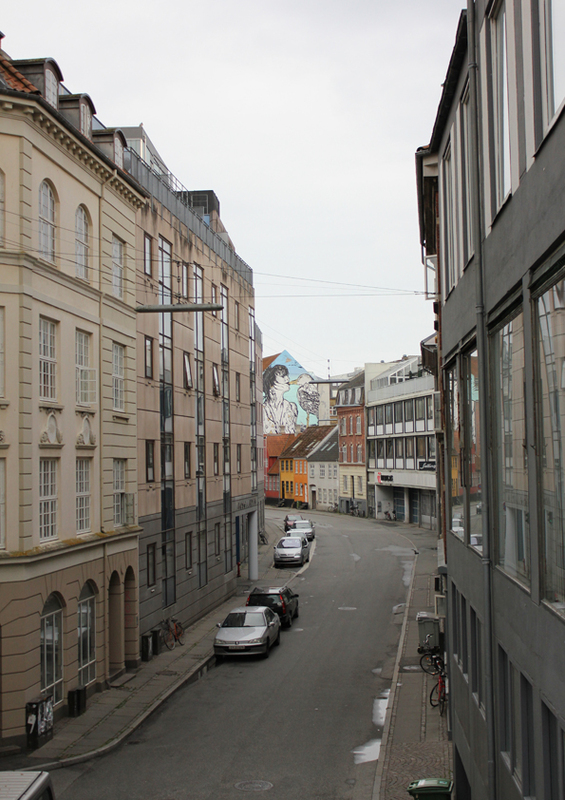 A street in Aarhus, love the graffiti painting in the back on a building. 6. 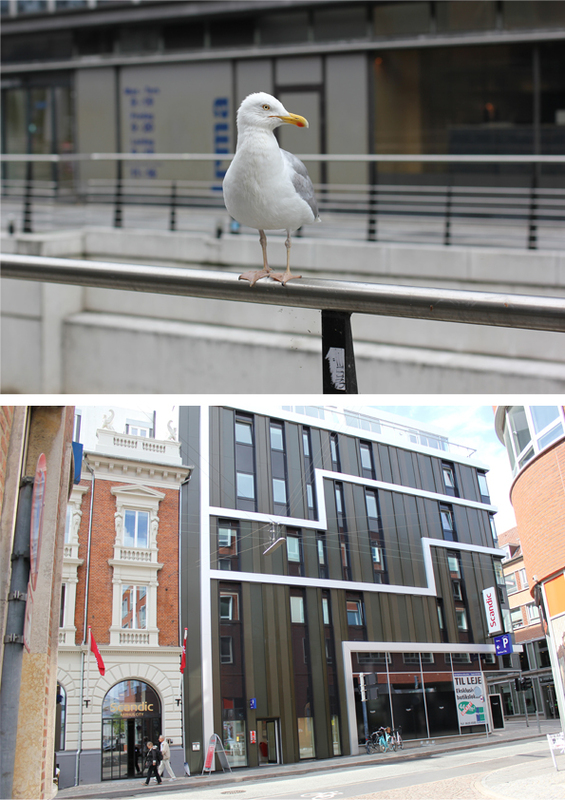 You can find a lot of seagulls in Aarhus, because there is a huge port in Aarhus, really close to the center. 7. The front of out hotel, it has a really fancy design part on the right and a classic part on the left side. 8. 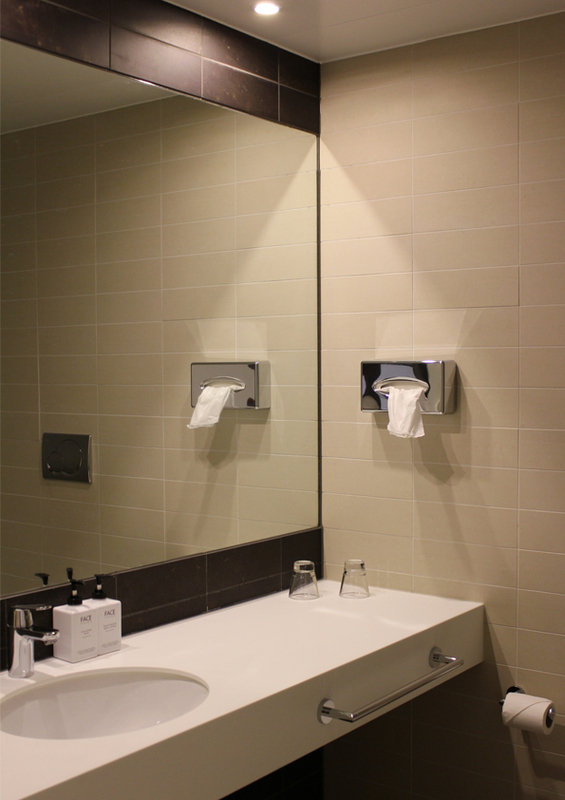 Our bathroom in the Scandic Aarhus City hotel. 10. Another view from Aarhus. This obviously is a big church, you can find it in the city center. Hele mooi foto's! Leuke stad! Ben benieuwd naar je outfit foto's met je nieuwe kleding! mooie foto's!! Die oranje stoel in de hotelkamer is super! These photos are so great. Love them all. Thanks for sharing. looks like you had a great time and you got some great pieces! Cannot wait to see how you'll style them! Thank you so much for the sweet comment on my blog! It means a lot to me!